At the end of Big Brother Naija, alot of relationships in and out of the house will not remain the same. But then, the housemates and their families have all said it's a game. 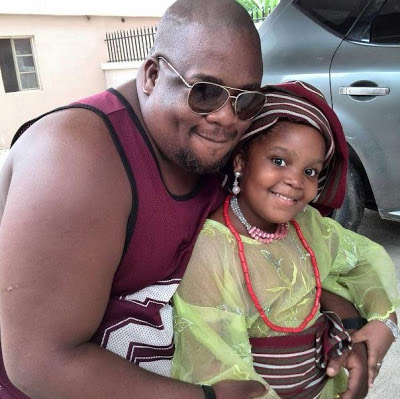 Now it gets more interesting to know that Bisola who is all over TTT (a married man with two kids) in the house also has a daughter (Leyla Olakitan Joan Olanrewaju) and a hubby/baby-daddy (Olanrewaju Malcolm) as the case may be.